Locally owned & operated - We're all about quality and great value. Competitive terms available through our network of trusted lenders. Check out our great selection of quality-inspected pre-owned cars, trucks, and SUV's! Browse our large inventory of Utility, Enclosed Cargo, Horse, and Stock trailers. Regardless of where you purchased your vehicle, we want to service it! ... read what our happy customers have to say about us! 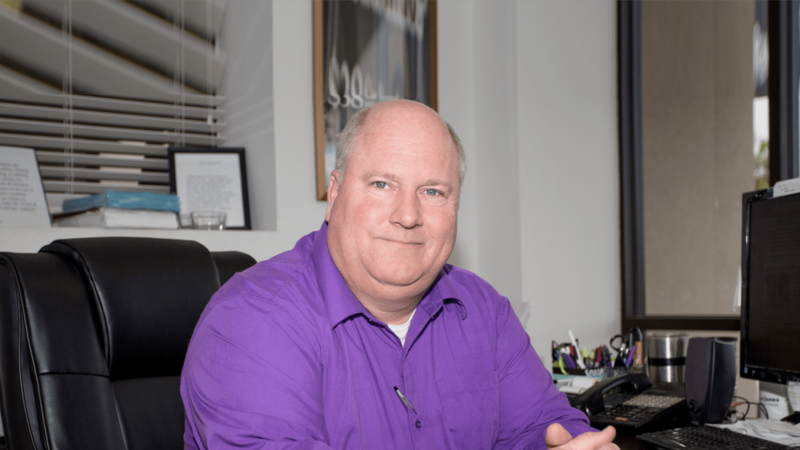 WELCOME TO The Taggart Group! Locally owned and operated - We're All About Quality And Great Value. Come visit the Taggart Group, where we're known for our reputation of providing a good value and handling quality vehicles at fair prices. Our sales team is always here to help with any questions you may have. You can expect neat and clean facilities with an inventory of thoroughly inspected vehicles, a quality service experience, and above all quality people to help meet your transportation needs. Don't forget to ask about our large inventory of Utility, Enclosed Cargo, Horse, and Stock trailers. Thank you for stopping by our online store. 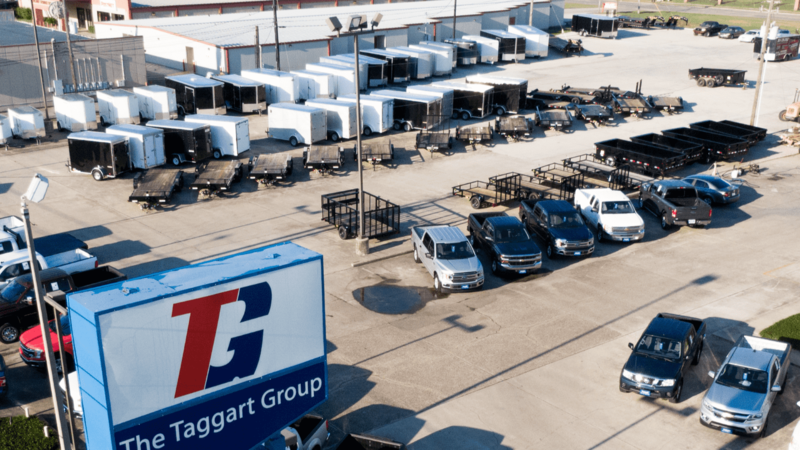 The Taggart Group serves the Coastal Bend area extending to Corpus Christi, Portland, Rockport, Port Lavaca, Sinton, Taft, Victoria, Kingsville, Alice, Rockport, San Antonio, and the Valley. We are more than happy to arrange to ship anywhere in the continental US. Contact our sales team to ensure the best possible web shopping experience or our service team for service questions. All of our vehicles are priced online and on the lot. Book Values and CarFax reports are posted for your convenience. We give you as much information up front as we can to assist in a quick, pain-free shopping experience. The majority of our cars are certified, be sure to ask about our 110% warranty. We are glad to arrange to finance and offer some of the most competitive terms available through our network of lenders. We also offer a full vehicle service center to help with your maintenance and repair needs. Regardless of where you purchased your vehicle, we want to service it. We want to make owning vehicles in the Coastal Bend a pain-free experience! We can't wait to meet you. We want to hear about your experience at our dealership. Let us know how we did! The majority of our cars are certified. Be sure to ask about our 110% warranty! We offer all types of financing at our dealership. Give us a call today and we will get you approved! Browse through the vast selection of vehicle makes thas recently been added to our inventory. 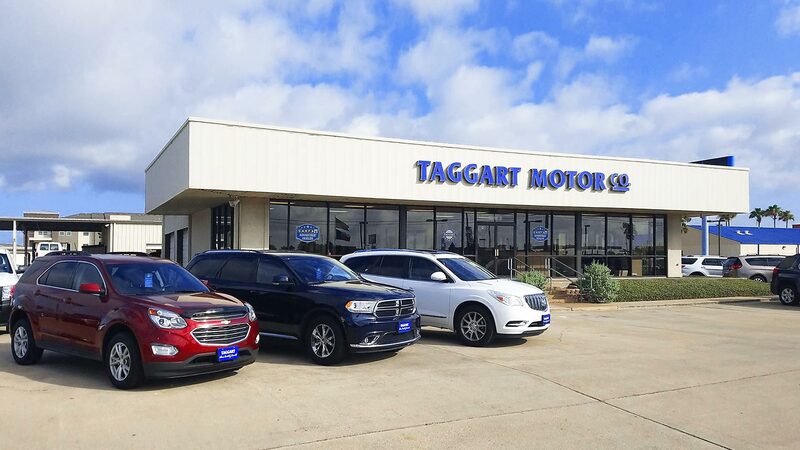 As a customer of Taggart Motor Co., you can expect quality facilities with an inventory of quality vehicles, a quality service experience, and above all quality people to help meet your transportation needs. 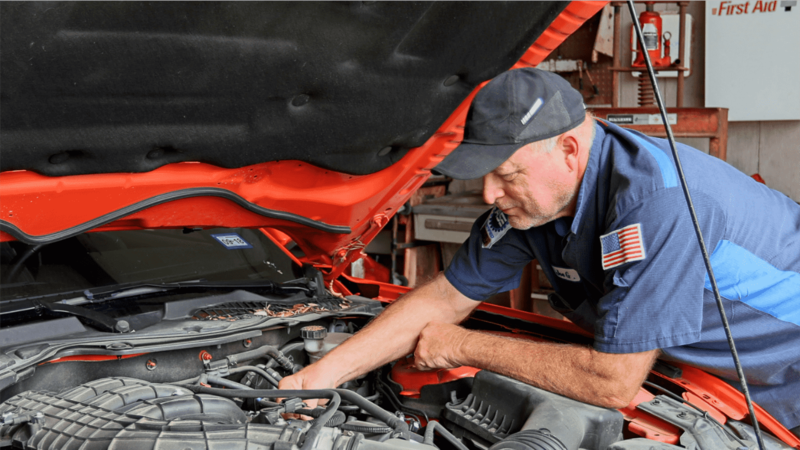 We offer a full vehicle service center to help with your maintenance and repair needs. Regardless of where you purchased your vehicle, we want to service it. 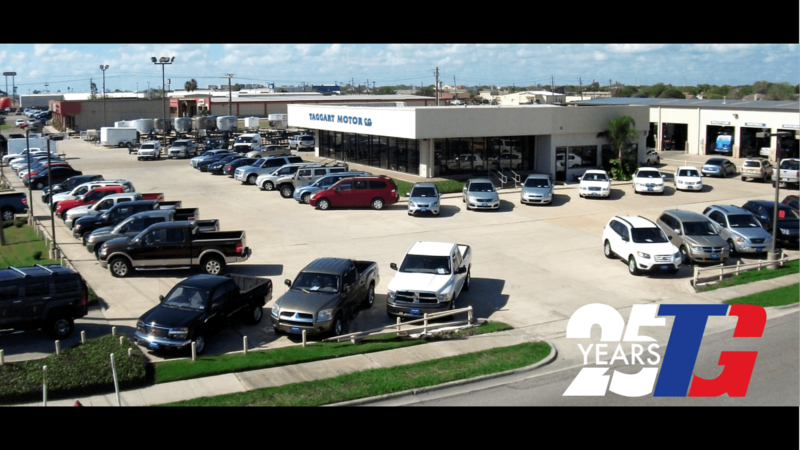 We want to make owning vehicles in the Coastal Bend a pain-free experience! We are glad to arrange financing and offer some of the most competitive terms available through our network of trusted lenders. Call today or apply online via our fast, secure financing application. The Taggart Group has been visited 18,993,422 times.